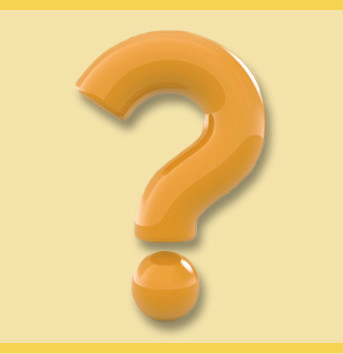 Below you will find answers to questions that most parents and family members have about CBCS’s rules and guidelines. If you need further information, please take time to review the Student Handbook. Or, if you would like to call the school office, we would love to hear from you. What time can my child arrive at school in the morning? May visitors visit the school? Are video cameras used on school buses? What should I know about field trips at Casa Blanca Community School? When does the school send out report cards? What is the grading scale for Casa Blanca Community School? When does the school hold Parent/Teacher conferences? Does Casa Blanca Community School provide mental health services? Students should not arrive prior to 7:30 a.m. or remain on the school campus later than 3:15 p.m. unless they are participating in a supervised activity. CBCS will not supervise students who arrive before 7:30 a.m. or remain later than 3:15 p.m. We have developed this procedure for the safety and well-being of your children. We invite parents, guardians, and visitors to visit while school is in session. Visitors must obtain a visitor’s pass from the office before going into the classrooms. Any time a parent will be volunteering for more than two days, the parent must first successfully pass a fingerprint clearance and background check. There are no exceptions to this policy, as federal law requires it. Parents may contact Human Resources for fingerprint clearance and background check information. Parents, teachers, and community members can come together through our Parent Advisory Committee. We know that the more parents and community members are involved in the school and with our students, the more success our students will have. To learn more about the PAC and the meeting location and times, please contact the school office at (520) 315.3489. Yes. Our school board supports the use of video cameras on school buses so we can maintain and ensure a safe environment for students and staff. If you want to talk to your child’s teacher, call the school office either before classes begin (8:00 a.m.) or after students are dismissed (2:30 p.m.). During instructional hours, you may leave a message for the teacher with the receptionist. The teacher will make every effort to return the call on the same day or within 24 hours. Field trips provide community knowledge, recreational opportunities, as well as enrichment for our students. We will post all field trip information for parents at least one month prior to the field trip. A parent or legal guardian must sign a permission slip before the student may attend the field trip. We require appropriate school attire, as students will be representing CBCS. Any time a parent will be chaperoning a field trip, the parent must first successfully pass a fingerprint clearance and background check. Parents may contact Human Resources for fingerprint clearance and background check information. We send progress reports home at the end of the fifth week of each quarter, so that parents/guardians are well informed of student progress. We report each student's progress to parents/guardians four (4) times a year. Each student will receive their report card at the end of the ninth week of each quarter, four (4) times per year. The school holds parent/teacher conferences two times each year. However, as the school year progresses, if you have any problems, concerns, or questions, we urge you to please contact your child's teacher and/or the principal for assistance. We are all interested and concerned with your child's progress and well-being. We pledge our support for your child's success in school, and our goal is open communication. If you have additional questions about how to contact your child’s teacher or how our school handles promotions and retentions, we invite you to read our student handbook, found on the Home page of this website. Yes. Our school offers both certified school guidance counselors and a licensed social worker to students and their families. School-based counseling serves students in prevention, intervention, and crisis services.